1Jain Infraprojects Ltd. wins its first award in North Africa. 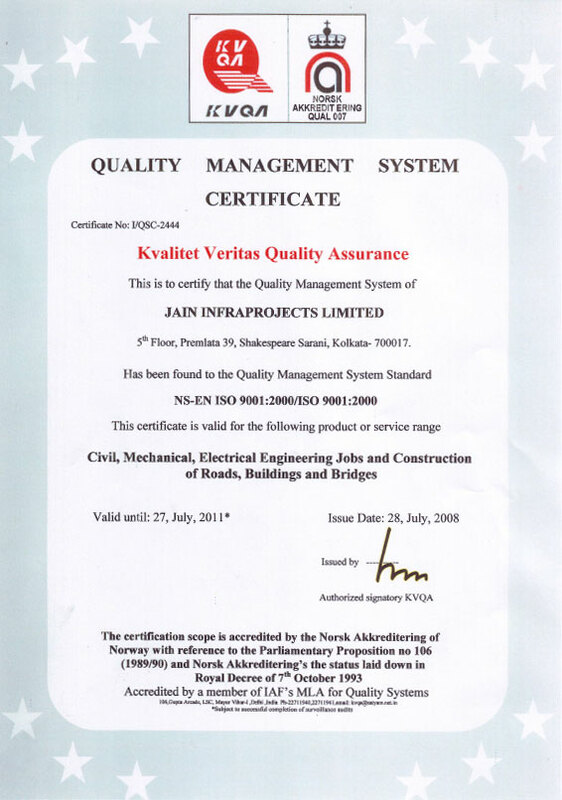 2Jain Infraprojects Ltd.files its DRHP. 3The 8 MW CPP Unit of JSPL has been commissioned and started generating power w.e.f. 6th October, 2010. 4JSPL proposes to install further power capacity of 30 MW CPP plant. July 31, 2010 Manoj Kumar Jain, Chairman and Managing Director of Jain Group of Industries, by building on verticals such as steel, energy and infrasrtucture underpins his resolve to contribute to nation building. Jain Infraprojects Ltd. wins its first award in North Africa. The 8 MW CPP Unit of JSPL has been commissioned and started generating power w.e.f. 6th October, 2010. Jain Infraprojects Ltd.files its DRHP. JSPL proposes to install further power capacity of 30 MW CPP plant.